Sometimes being in the ministry can feel fruitless but this week was anything but. I watch yesterday as “my kids” stepped up to be the leaders that God has called them to be. There are very few words that describe this so I am posting these pictures with how God used them. Enjoy and rejoice with me! Please pray for our second team of Summer missionaries as they begin ministering to the teams and the people here. Read a little about them below and pray at 9:38 for each one by name. I grew up in Traverse City, Michigan and now live an hour south in McBain, MI. I teach fourth grade at a local Christian school, and I love reading, running, playing basketball, and being outside. I became involved with 61Isaiah Ministries when I moved to Gracias to teach at Abundant Life Christian School in 2012. After moving back to the States in 2015, I began serving as a summer missionary. It’s the highlight of my summer break! Hi everyone ! my name is Kayli. I go to church at the Avenue. I went to Honduras this late spring break and met a ton of people that I have built amazing relationships with and I cannot wait to come back and serve and to build new relationships and work on the ones I’ve already started. She is clothed in strength &Dignity and she laughs without fear of the Future. -Proverbs 31 :25 That’s my constant reminder of the promise of God in life.I was born in a christian family with a single mother and two older brothers .We went to church every sunday and I knew about jesus.When I was 5 my family stop going to church because we had a lot of problems .During my age of 5 to 11 ,I went through many problemas that were changing me completelly.In to a person full of fear and doing what that wrong thing in life. I was going to a christian school and I knew about jesus but never had a really good relationship with him.I knew my friends had a relationship with him and i wanted to had one too.I went to church and got to know more about his love .I was helping in church in everything ,and I was really in to church.But when the problems started i ran away of God.I accepted Christ in my life in one of Mr.shannons mission trip .We were coming from san isidro and in the car i accepted christ as my savior .My life is not easy but with the help of God its easier. All my life i wanted to be a missionary and when miss.kristi told me that there was an opportunity for me I knew that God was calling me. My name is Lillie McDonald. I am 21 years old, and will be starting my junior year of college at Howard Payne University in the fall. I am double majoring in Practical Theology and Spanish. I want to go into ministry when I graduate, and this trip is going to also be an opportunity for me to see if I could possibly do tlthis long term. This will be my first time going to Honduras. I am very excited to go, but also nervous because it will be my first time traveling on my own, and living in a place like Honduras. I can’t wait to see how God is going to move through me during my time there. Our first team of summer missionaries arrived in Gracias last night! Please be in prayer for them as they serve the next three weeks. Take a peek below to find out more about them!!! My name is Javier. I’m 19 years old and this is my 4th year working with 61 Isaiah. I was a senior at Abundant Life a year ago, and I will start my sophomore year at Harding University in Arkansas in the fall. I’m double majoring in Finance and International Business. Eventually, I’m planning to get involve into politics and help my country. I’m very excited to be a summer missionary and help my people. Hi!! My name is Courtney Weaver! I’m 18 years old and live in Zavalla, Texas! I am attending Stephen F. Austin State University in the fall to pursue a major in Early Childhood Education and a minor in Spanish! I hope to become a Kindergarten teacher and am praying about where God would have me to do that! I have always had a heart for missions, and I feel that it is possible that God is calling me to teach in a mission field! Hello! My name is Emma Lehew! I’m 18 years old and just graduated high school. I became a Christian at a young age, and for almost as long as I can remember, God has been calling me to the mission field. Now that I have finally surrendered to His calling, I can’t wait to follow Him down to Honduras. I am currently working towards a Biology major. After I attain it, I will become a pediatrician and work for a nonprofit that will allow me to help impoverished children both here in the states and in third world countries. I would ask that you pray for my health as I travel to Honduras and for the health of all the other incoming interns. And I would like to thank you all so much for your prayers. I know they will help each and every one of us during this upcoming summer. orked at the bilingual school there as a teacher’s aide and visited the mountain villages on a weekly basis and worked (or was it played?) with the kids there. The Lord showed me His beauty in the countryside of, and the hearts of, the Honduran people. Therefore, it is no surprise that I now find myself headed back to Honduras in the summer. I would ask for prayer this summer concerning spiritual and physical energy for both myself and the rest of the 61 Isaiah team, as well as for eyes that see His purpose everywhere. All glory to Jesus! We would like to introduce you to our newest team member, Joshua Dykes. 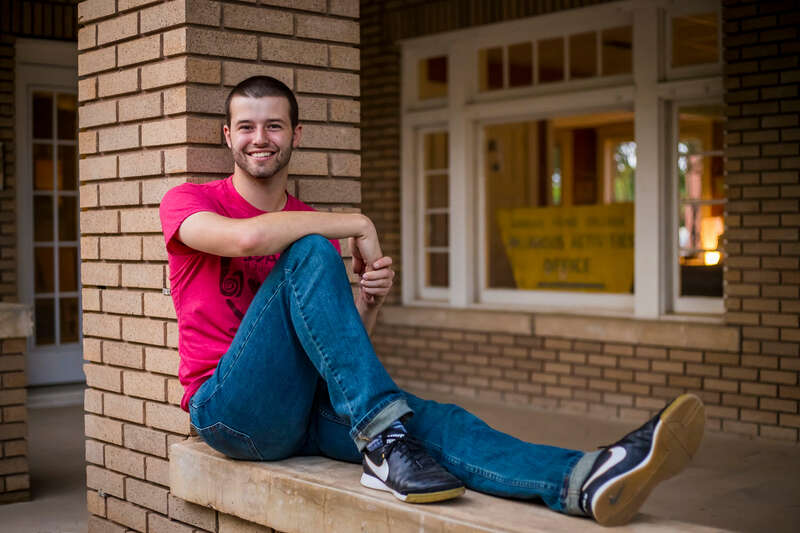 He is 22 years- old and originates from Mount Pleasant, Texas where he grew up with his awesome parents (Chris and Martha) and his younger brother (Brandon). Josh grew up attending First Baptist Church in Mt. Pleasant along with his family and his relationship with Christ started when he was 9 years-old and asked his parents, “If Jesus is perfect and I am not, then why would He die for me?” To which they responded, “Because He loves you.” From that moment onward, Joshua started the crazy and fulfilling adventure that we call being a Christian. Josh continued to learn about God’s will for his life and when he was 16 years-old he felt a call to ministry. He followed this call to Howard Payne University where he graduated with a bachelor’s degree in Youth Ministry, Public Policy (from the Guy D. Newman Honors Academy), and a minor in Spanish. He has worked in youth ministry for the past 4 years and believes that his time in ministry has prepared him to work in adaptive innovative ways. Joshua came to Gracias for the first time on a short-term mission with Southside Church and returned again the next year. It was after this second stay in Honduras that Joshua joined the missions team. 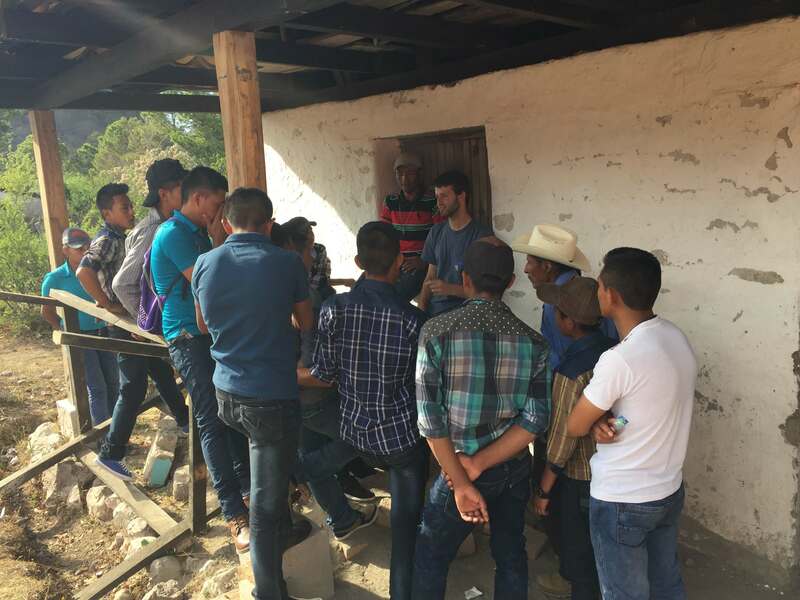 This is how Joshua explains his call to Honduras in his own words, “After I left from serving alongside 61 Isaiah Ministries for the first time, I knew I had to come back. I knew God was calling me to Honduras at this point. I cannot explain why I have grown up with such a desire for learning Spanish and understanding Latin American culture, but I know now that it has been God preparing me for an opportunity just like this one. I see glimpses of Honduras in every day and I cannot wait to Walk With the people of Honduras and serve with 61 Isaiah Ministries.” Please be in prayer for Josh as he begins his preparations to move here.